How Low Can You Go? Minimum Orders Slashed For Limited Time Only! 12 Jul How Low Can You Go? Minimum Orders Slashed For Limited Time Only! Packaging can be a real pain to source, can’t it? We know that there are plenty of small businesses out there who aren’t paying the right price and maybe not even ordering the product that best suits their needs. At ID Packaging we want over and under-ordering to be a thing of the past when it comes to packaging and, to support such trailblazing statements, we’re offering really low minimum orders for a limited time only. And before you start thinking we’ve got a literal shed-load of old stock to get rid of – think again! All orders from ID Packaging can be custom-printed with your design, brand name or logo so it’s fresh off the press just for you. 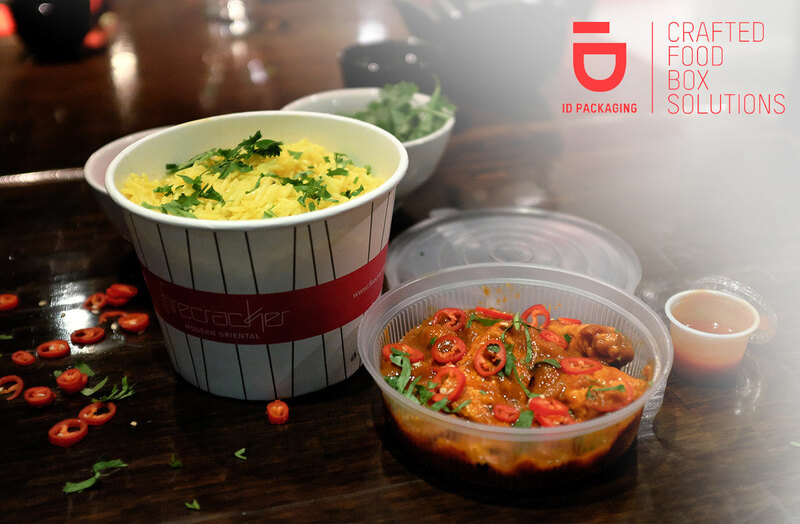 Whether you’re a chips and curry connoisseur or real-life Ramen king we’ll work with you to find the best solution to your takeout needs. Paper bowls can be as small as 8oz but if you’re more in the market for something that’ll hold a family-sized feast of hearty soup, then our 42oz bowl might be better suited to the job. Our paper boxes will hold anything from a snack or side-dish to a main-meal pasta, and if it’s food on the go you’re serving up try our paper trays for an al-fresco feel. We know that you’re probably not in the market for 12,000 of any one thing and that’s why we let our customers make up their order with a selection of the various products we offer, whose individual minimum order quantity can be as low as 4,000. Not only does this mean you can give ID Packaging a whirl before you up the ante with our usual minimum of 12,000 (still pretty low though, right? Don’t say we’re not good to you), it’s also great if you’re looking to play around with some new design ideas but don’t want to overdo the order before you’re sure. Remember that containers with your logo equals practical marketing, so don’t underestimate the power of branding in the hands of your customers.